← What Type of Investor Are You? One of the biggest stories offered recently was that of the Target breach in the Untied States. Millions of customers had their data stolen, including credit and debit information. Even though I haven’t shopped at a Target in years, my partial data was stolen, and I’ll need to be vigilant when it comes to my identity. I’m no stranger to this situation, either. My credit card information was vulnerable during the PlayStation Network breach of a few years ago. I called my issuer as soon as I heard about the breach and had them change my account number. It was fairly easy, and it gave me some peace of mind. As a result of the PlayStation breach, I began changing the way I use my credit and debit cards, and my bank accounts, so that I could limit the difficulties associated with breaches of this nature. I use credit cards a lot more now. This is because I don’t want my bank account compromised. It’s one thing to have your credit card number compromised, and quite another to have your bank account at risk. With a credit card, it’s not your money that is on the line; it’s not taken out of your account, and it’s easier to fight a fraudulent charge. When the breach involves your bank account, though, the story is different. The money is taken out of your account — it’s just not there. Yes, you can get it put back in, depending on your bank’s policy, and whether or not a debit card was used, but it can take weeks to get your money back. Using credit cards for most purchases, especially online purchases, can help limit the damage in these cases. You can deal with the fraudulent purchases without having to use your own money. When the money’s out of your bank account, it’s gone for the time being, and that can cause all sorts of inconvenience. Another thing I do is divide up my credit card use. This way, it’s easier to pinpoint which card needs to be changed, and to isolate the problem card. My parents had their credit card information stolen while they were on a road trip once. They used it at a gas station in Chicago, and the gas pump was hacked. They had to change their credit card account, and fight to have the fraudulent charges reversed. This story reminded my to choose one card to use for travel. (I do bring a back up credit card, kept somewhere safe, but I don’t bring my debit card when I travel.) I have my travel card, and my online purchases card. That way if something happens with one of those cards, it’s easier to get a new account number and a new credit card. These cards don’t have automatic payments attached to them, either, since they are (I figure) the ones most likely to be compromised. That way, I don’t have to contact a string of service providers to change my information if the card is compromised. It’s a little trickier with my automatic payments. The good news is that I can spread those around. I put two or three on each of the cards I use for those purposes. Those accounts stay active and available, since there are monthly purchases made on the cards, and if one of them is compromised, I only have to contact two or three billing departments to get the information updated. It’s a little smoother, and less of a hassle when a breach happens. Realize that the new reality is that you are likely to experience at least one data breach at some point. With everything digitized, it’s only a matter of time. Unless you are willing to use cash (and I find carrying cash inconvenient, along with the fact that, if it’s stolen, it’s gone forever) all the time, your data is going to be at risk at some point. Your best defense is to know your finances, and to regularly monitor your credit to identify signs of fraud. What do you think? What steps do you take to protect yourself from data breaches? I use a credit card for all purchases and track the charges online to make sure they are correct. I also haven’t shopped anywhere lately that’s been involved in a credit breach, but more stores are coming forward with this new one that Target was involved in, so you never can be too careful. I am using a master card for making easy my lifestyle. 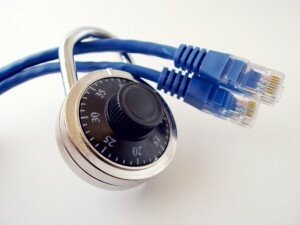 This a great awareness topic for online data security. I must remember it for my data security.